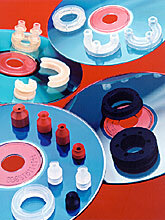 ANVER offers a full range of single cup, bellows, half ring, and closed or full ring cups for pick and place robotic arms. These cups are used for a range of automatic packaging machines including EAM (USA), Heino Illsman (Germany), Gima (Italy), and Kyoto (Japan). 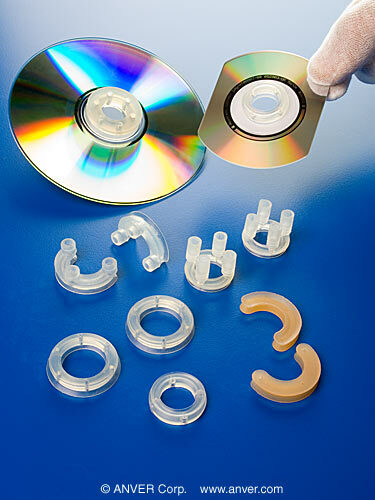 These vacuum suction cups have proven themselves, and are used worldwide in the CD manufacturing process. For more information on the materials, click here.